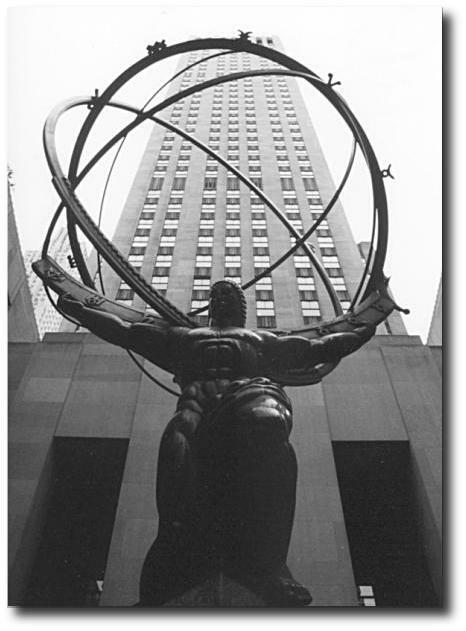 I decided this year to read Ayn Rand's book, Atlas Shrugged. It is a dense book…deep character studies, intensive plot, social commentary…I have felt a number of times that I have bitten off more than I can chew. Not that I can't make my way through it but rather because in order to absorb it, it takes time. It is over 1000 pages…I haven't read a novel of that girth in quite some time. But I am mesmerized by the story…especially its applicability to current stories being spun in culture and politics. I'm not "down" with objectivism as a philosophy…but I am fascinated by the story's unabashed criticism of socialism and how ultimately it not only destroys freedom but inhibits discovery and invention! I don't know if I'll post more on the book…I am just going to find a way to plow through it for my own obsessive compulsive reasons. But for now, I'm enjoying the LONG ride! Very relevant. If you want, Wiki the book…read the notes…it will save you some time! ← At this rate, I’ll never have to write anything original again! Stick with it! Even if you disagree with her philosophy, the novel is an enjoyable read. It also is, as you said, highly relevant for today’s culture and times. the book is a critical critique of our times…very relevant!